Ditch the plastic baggies, foil, plastic wrap – and even those brown bags – in favor of reusable cloth or stainless steel containers. If you choose reusable plastic containers, look for those that don’t contain BPAs or PVC. Dump those soda cans, juice pouches and boxes. Instead, send warm drinks or soup in a reusable thermos and cold drinks in aluminum or stainless steel bottles. Choose models with built-in straws so you don’t have to add plastic ones. Avoid one-use water bottles, as well; these containers create almost 2 million tons of waste annually. Similarly, drop the disposable plastic cutlery and paper napkins in favor of reusable metal cutlery and cloth napkins. Simply wrap the cutlery in the napkin for easy transport. One of the best ways to create zero waste school lunches lies in the bulk and fresh produce sections at your grocery store. 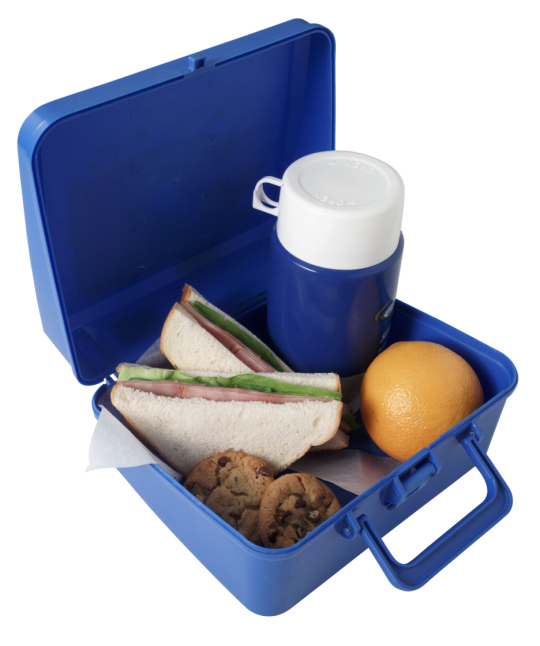 Instead of buying portions of food pre-wrapped, purchase items in bulk, then send lunch-size portions in reusable containers to school. Items like pretzels, dried fruit, cookies and cereals all come in bulk; you can even buy kid favorites such as yogurt and juice in large amounts to save on packaging – and cost. Plus, seasonal produce is healthy and doesn’t require packaging; just throw a fresh apple, pear or peach in your child’s lunch! These simple steps to create a zero-waste lunch can help you reduce waste, save money, ensure your child gets a healthy lunch – and help save the environment!